Meg here, sharing a little creative inspiration for your office. I just can’t get enough of post-it notes. They can be used for so many things, from organization and note keeping to decorating. My favorite post-it notes are these adorable Marseille Collection notes. The colors are so cheery that I just can’t help but smile when I see them. These are just a few cute ideas for using post-it notes in your space! Post It Note Calendar- You might already have a desk calendar but you can easily add a little fun to your desk with this adorable post it note calendar! It’s such a cute way to keep track of your schedule, and when a day passes, you can take the post-it note down. This idea also works really well for any countdowns you might have. I love using them to count down to holidays and birthdays. Pinwheels- What a cute way to decorate! These adorable pinwheels are so simple to make and they bring just the right amount of cheer to your desk. Ornaments- Christmas may have passed but I think these adorable ornaments can be hung up all year around. They look just like spring to me! Goal List- This daily goal board is so cute. The tutorial is a little big for a desk, but you can easily create a little goal board that fits right in your office. It’s such a nice way to keep your daily and weekly goals up to date and easily visible. 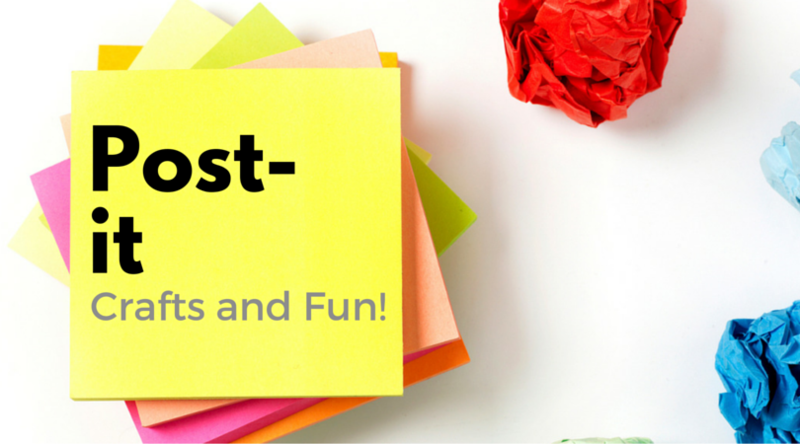 I hope these Post-It Note ideas got you inspired to make a post-it note project of your own. Send me your favorite ways to use post-it notes! In our office, we have to deal with a variety of documents containing sensitive information. Industries from medical to legal to education all need to store and dispose of sensitive information in the proper way in order to protect identities, finances and more. Highlighters: When handling important documents, we need to know exactly where to look. Many times, we receive contracts with an insane number of pages, so highlighting the must-read sections saves time and energy. The Pilot Frixion Highlighter will draw attention to the critical sections of each page, making it easier to review documents after they have been security stored for some time. Shredder: Properly disposing of classified information is a procedure that needs to be followed to a T. One leaked number from a sensitive document could derail an entire business. Using the HSM SECURIO AF300 Cross-Cut Shredder will ensure that no information gets out that isn’t meant to. The small size allows this shredder to fit in any office, and automatic paper feed keep the process swift and easy! Avoid the multitude of headaches you could run into with sensitive information but storing and disposing of it very carefully!